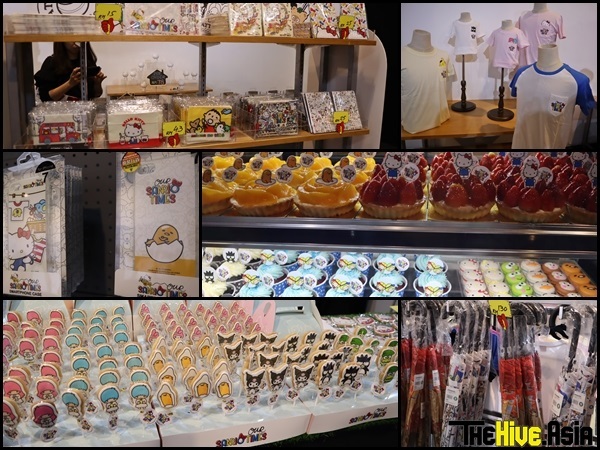 Home / celeb / exhibition / hello kitty / news / sanrio / Enjoy the holidays at “Our Sanrio Times – KL” with Hello Kitty! 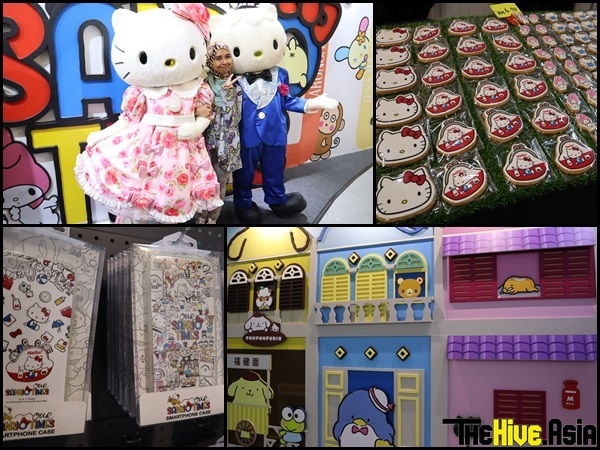 Enjoy the holidays at “Our Sanrio Times – KL” with Hello Kitty! Remember before this we said you could spend the holidays with Hello Kitty and her fellow Sanrio friends at “Our Sanrio Times – Kuala Lumpur”? Well, the exhibition’s open to the public now! It’s time for you to go take tons of selfies and have fun frolicking in the numerous photo zones filled with the most kawaii characters. Kids below 90cm can just breeze in without paying, by the way (what a nice time to be short). or at this counter right next to the exhibition hall. If you’re lucky, you’ll get to meet and greet Hello Kitty and Dear Daniel before entering the hall. 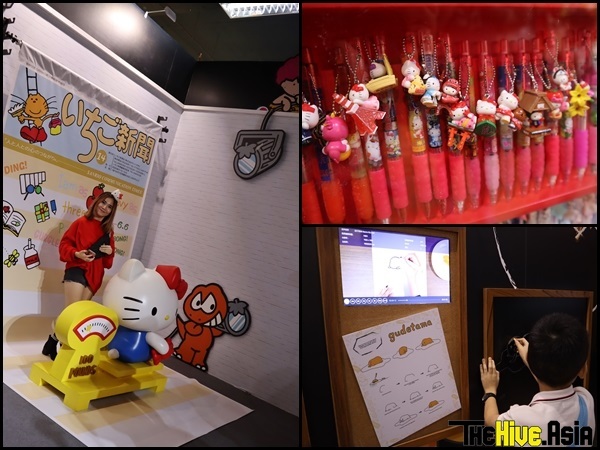 Once you enter, you’ll walk through a zone filled with memorabilia from the past, not just of Hello Kitty but the various other characters that call Sanrio their home. Take a moment to marvel at the replica of the first ever Sanrio merchandise, a cute, small Hello Kitty coin purse housed in a big purse-shaped display, before walking ahead to The Plushy World where you will be greeted by a 3.5 meter tall Hello Kitty plush toy. Parents be warned, your little ones will try grabbing the plush toys so make sure their tiny hands are not prying any of them off the wall. So many plush toys to selfie with at The Plushy World. From there, have some Paper Doll Fun with the Little Twin Stars. At their photo zone, you can hold up paper doll outfits and pose like a doll yourself. Right next to that zone is where the various stationeries are put on display. Most of these are either cool retro stationeries for kids to gawk at (kids nowadays aren’t even familiar with written letters, let alone a vintage letter opener) or exclusive ones that you can only find in certain areas of Japan, like the prefecture-specific Hello Kitty and Gudetama pens. to doodle Sanrio characters with, you’ll end up on Strawberry News cover too. From there, it is time to put on your creative hat. Even if you can’t draw an amoeba to save your life, the on-loop videos at the Drawing Classroom will make sure you walk away a (Sanrio-certified) Picasso by the end of your drawing lessons. If you want to master something fast, we suggest you try your hands at drawing Gudetama – the lazy blob of egg has the least parts to draw. Now that you’ve leveled up your drawing skills, you can continue taking photos at the next zone, ‘Sanrio Village’, which is made in imitation of Tokyo’s 1970s Sanrio Gift Gate of Gotanda. Take a ride on the Sanrio train with some of the characters before heading off to the Strawberry News zone, where for just RM25, you get to grace the cover of Strawberry News too! (In other words, get your photo taken and printed at this zone). Last but not least is the Malaysia zone. Show your proudest Malaysia Boleh! moment by striking the most patriotic poses you can think of – or most touristy poses, whichever rocks your sampan since this zone features iconic buildings that can be found in the country. 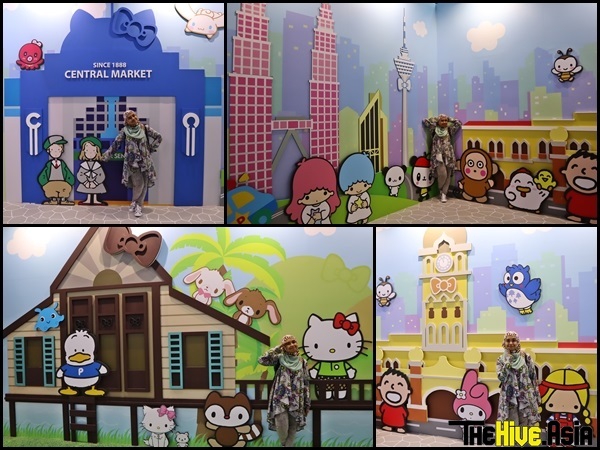 pose with these Sanrio-fied versions of Malaysia’s iconic structures. Then get ready to fork out some more cash because you surely will not be able to resist buying an official goodie or two from the merchandise store. For the foodies, the various desserts offered will prove to be too adorable to eat but your sweet tooth won’t be able to resist them. – you’ll feel like buying the whole shop. Test your ball rolling skills with these games. Hold up, the fun is not over! After exiting the store, play the games at the booths set up along the corridor. You can play only some of the games and you’ll still get prizes but remember, winning all five games will give you an awesome prize! After this, you can go home satisfied and dream of your next visit to an “Our Sanrio Times” exhibition – which could be the very next day if you want to keep saying hello to the popular Kitty every day this holiday.